Bringing 30+ years of public and community service to work on societal change. Bringing 30-plus years of public and community service to work on societal change. A Utah native, Rebecca Chavez-Houck holds a B.A. in Journalism and Mass Communication and a Master of Public Administration (MPA), both from the University of Utah. 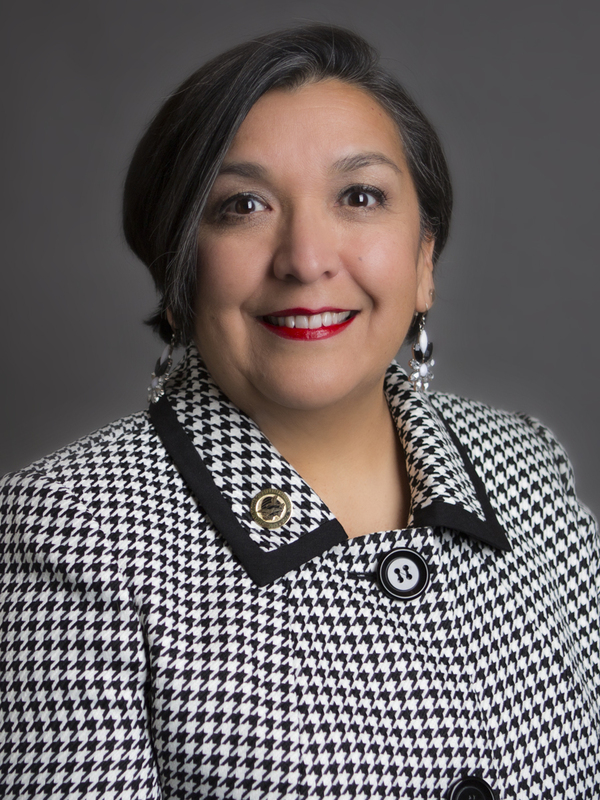 She represented Salt Lake City’s District 24 (Downtown, Capitol Hill, Guadalupe & the Avenues neighborhoods) in the Utah House of Representatives from 2008-18, focusing primarily on public policy related to health and human services as well as voter engagement and access. Her leadership appointments included: House Minority Whip (2014-16) and House Minority Assistant Whip (2012-14). She now provides leadership coaching and community engagement consulting through her public affairs firm, Aspira Public Affairs, LLC. During her time on Utah’s Capitol Hill, Rebecca served on the Governor’s Multicultural Commission, as co-chair of the bipartisan legislative Clean Air Caucus, and as co-chair on Utah’s Women in the Economy Commission. Other appointments that influenced her policy agenda include service on former Governor Jon Huntsman's Commission to Strengthen Utah's Democracy, Governor Gary Herbert's Medicaid Working Group and the legislative Health Reform Task Force. Her legislative committee assignments included the social services appropriations subcommittee, as well as, health & human services, government operations, and economic development & workforce services standing and interim committees. She is a 2012 Council of State Governments (CSG) Toll Fellows Graduate. Rebecca’s passion for social justice advocacy and desire to develop progressive public policy was forged in the multicultural community of Bingham Canyon, where her parents met. Rebecca’s compassion for the less fortunate, pride in cultural diversity, commitment to the environment, appreciation for improving population health, and support for a robust safety net was undoubtedly shaped by her parents’ influence. Rebecca served as a public affairs staffer for a number of local Utah nonprofits from 1985 to 2007 and cultivated a parallel “career” as a volunteer for nonprofits ranging from Envision Utah to the ACLU to Planned Parenthood Association of Utah. She continues to serve on myriad boards and initiatives and has been honored extensively for her efforts. Rebecca teaches non-profit administration classes as adjunct faculty for the U of U’s MPA program. Rebecca and her husband, Martin Houck, live in Salt Lake City’s Avenues area and have two children.